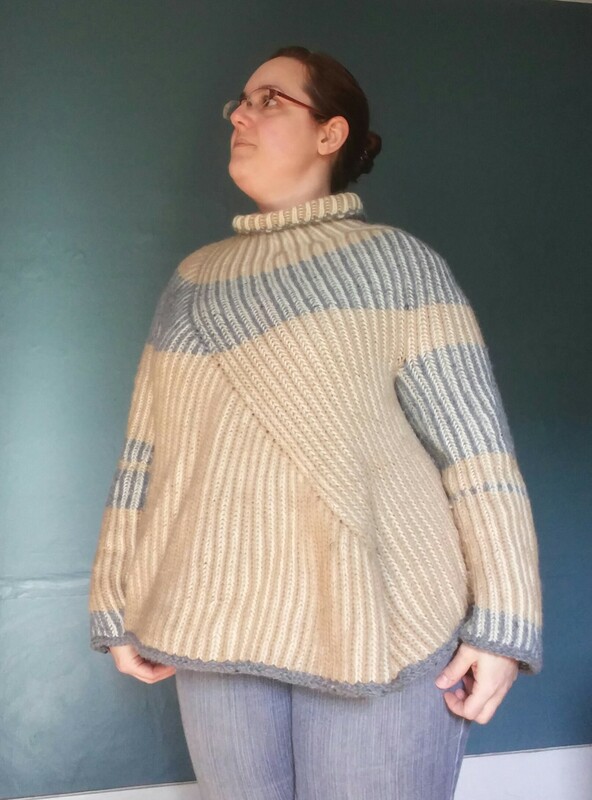 I finished my Askews Me sweater over a month ago and I’ve finally gotten some decent pictures! 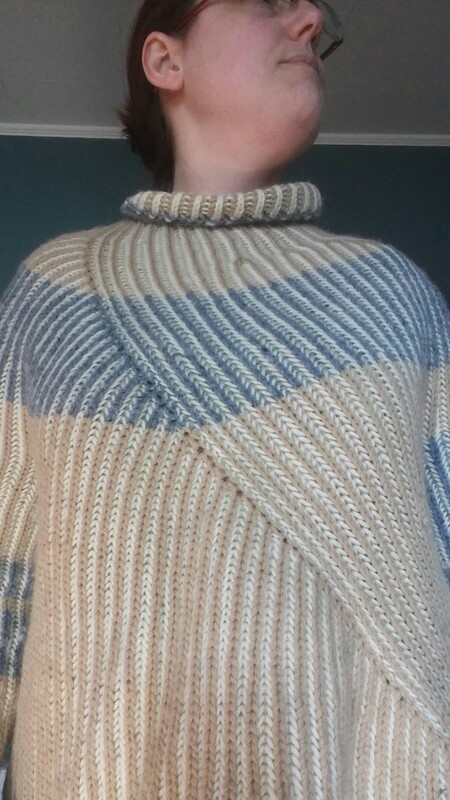 I loved knitting this. The foreground yarns were reclaimed from thrift store sweaters. 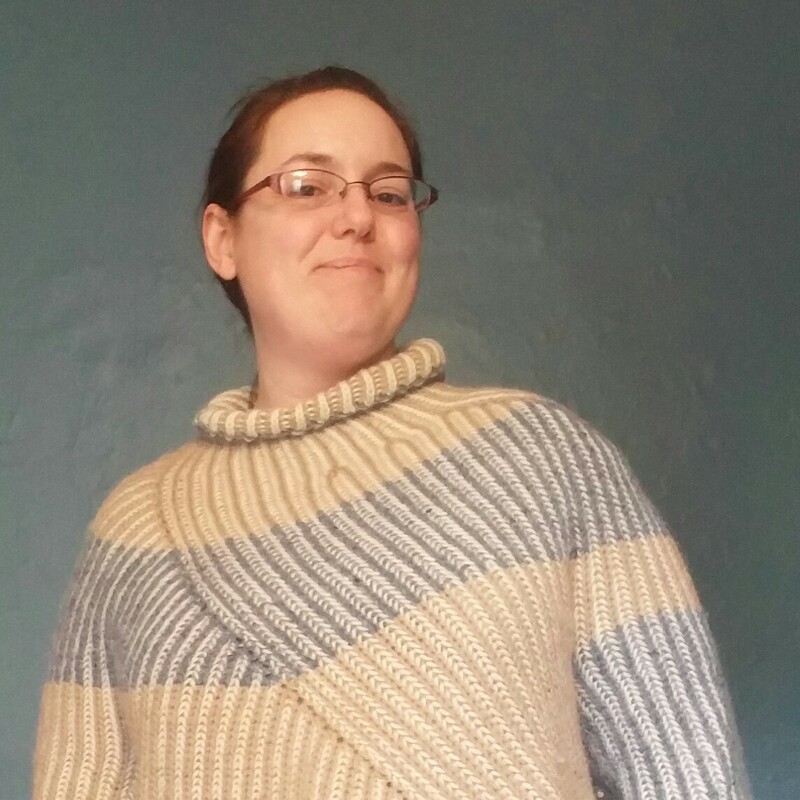 The taupe yarn is 100% merino, and I believe the blue is a wool/acrylic blend. The background yarn is Lion brand Fisherman’s Wool which is suprisingly soft. I’m not entire sure it’s the best shape for me. I’m kind of bottom heavy so I tend to stick to tops that are more fitted, but this is so comfy and warm that I’ve decided not to care if it’s a bit of tent. And it’s great with skinny jeans and boots. Good news: I’ve been able to knit with no pain! I’m able to get in several rows in the morning and evening. I’m not sure I’ll ever go back to any marathon knitting sessions, but as long as I can do some knitting, I’m happy. I was going a bit bonkers! 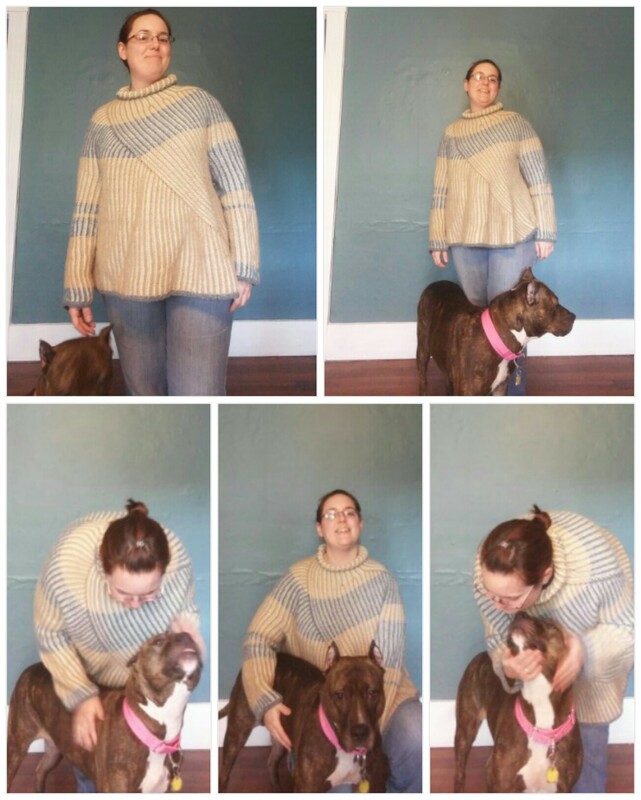 My dog, Layla, really wanted to help me with this photoshoot. I’ve given her the “look” command in the first photo. I have my phone camera set to snap a pic when I say, “cheese.” It’s better than a timer! 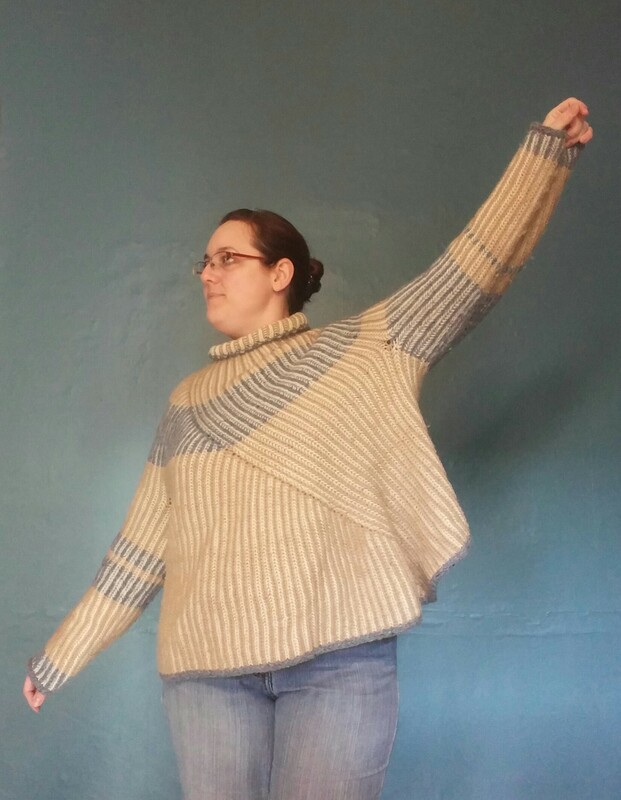 This entry was posted in finished object, Knitting, Uncategorized and tagged knitting, merino, stripes, sweater, westknits, wool, worsted, yarn by cgovernoillustration. Bookmark the permalink.